Stock Up for the Start of Summer! Kick off the first weekend of summer with a fully stocked wine fridge or cellar! You’ll need crisp whites for light lunches, lush reds for what’s on the barbecue, and rosé for everything in between. Here are a few choices to get you started. We have around 300 wines available at all times. If you have a cottage or a farm where you spend a lot of the summer, let us know. We can get wine to you no matter where you are in Ontario. Styled after the dry rosés of southern France, this one is built around old-vine Sonoma County Grenache. A little skin contact gives the wine its hue and aromas of fresh red berries, but on the palate it plays like a weighty unoaked Chardonnay. Fresh and minerally. If you need a wine to pour beside grilled fish, beer-can chicken, or dry-rubbed ribs, this is the one. It has great palate presence and is very versatile with food. One of the great values in our catalogue is this Spanish white. The grape is Macabeo, which is also called Viura. Consider this the white grape of Rioja. Cruz de Piedra’s vineyards are in Calatayud, a lesser-known region of Spain, southeast of Rioja. Their fruit comes from bush vines that are over 80 years old, many over 100. In total, 650 acres have been planted at elevations between 800 and 1200 metres above sea level. The soil here is made of red loam, marl, sandstone, and slate, which are too poor to support most crops. The continental climate of hot summers and cool winters combined with miserly soils make for very intense wines with a lot of varietal character. Gently-pressed juice is fermented in stainless steel and then bottled. That’s it. No barrels, nothing fancy. Just the rich, clean, soft flavours of old-vine Viura: tropical fruit, pear, and citrus notes on the nose. On the palate, the wine is well-balanced, gentle, and fresh. Pierre-Marie Luneau is one of the most respected vignerons in Muscadet. He farms his 45-year-old south-facing vines on 50 hectares of volcanic rock and mica-schist soil in Le Landreau. He is the ninth generation to do so. The estate is also known as Domaine Pierre de la Grange, and has been planted to Melon de Bourgogne since the 1700’s. Melon de Bourgogne, when produced well, can be one of the finest values in French wine. 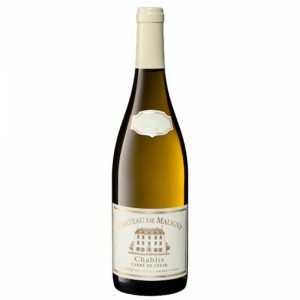 Comparable to Chablis or white Burgundy in style, it is an impressive wine for a modest price. I recommend that you take one or two bottles, stash them away and forget about them. The ageability of these wines is amazing. “Carré de César” is not a single vineyard wine. It is a selection of the best lots of fruit from Château de Maligny’s estate vineyards. Given that they are the largest land-holders in Maligny, this fruit is definitive of the village’s Kimmeridgian clay vineyards. The fermentation is straightforward. It retains all the fruit’s integral terroir. Fermentation takes place in cool stainless steel tanks. Oak barrels are used to age around five percent of the wine before blending. It is a rich wine, minerally and flinty, typical of high quality Chablis. Drink now and for three to four years. If you are thinking of a menu with ceviche, oysters, or triple cream cheeses, this wine is for you! If there is a wine that is easier to enjoy than good Valpolicella, I’d like to hear about it. Supple, round, medium-rich, with nice dusty grip and fresh savoury flavours: this is excellent “food wine”. Brigaldara’s Valpolicella Superiore comes from two parcels within the winery’s Grezanna vineyard. It is made by the appasimento method, which is usually reserved for Ripasso and Amarone. This is when the cap of fermented skins reserved from rich Amarone is introduced to fresh, young, fermenting Valpolicella wine to enhance the flavour and body. The grapes here are Corvina (40%), Corvinone (40%), and Rondinella (20%). Aromas are characteristic of Veneto’s valley vineyards: cherries and spice. On the palate, it is dry, velvety, and medium-bodied with silky tannins. 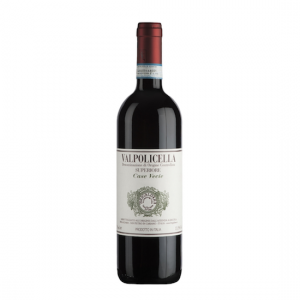 This means that if you looking for a great value alternative to Chianti or Rosso di Toscano: here it is. Fermented and raised in stainless steel tanks, this red shows clear cherry flavours, dappled with a little earth and spice. Straightforward and charmingly rustic. 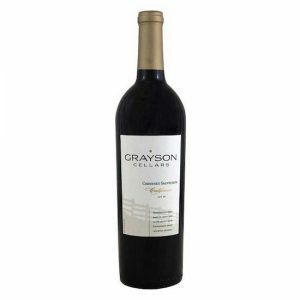 Among our most successful winery partners is Grayson Cellars, who make some of the best value Californian wines you’ll find. These are not meant to be aged – just pop the cork and pour. The team at Grayson sources the best fruit available in northern California and, simply put, make great value wines. While the score above may not be reflective of the same scale as other more influential critics (Wine Spectator, Wine Advocate, etc. ), the award itself speaks volumes: among the competitors were more expensive Cabernets from more “well-known” appellations and producers, including McManis 2016, J. Lohr “Paso Robles” 2015, Rodney Strong “Sonoma County” 2015, Benziger “Sonoma Valley” 2014, and Louis Martini “Napa Valley” 2014. Chile’s Aconcagua Valley is hot, pristine terrain. Within the valley walls, there are numerous folds that form smaller valleys where you can find microclimates perfect for Pinot Noir. 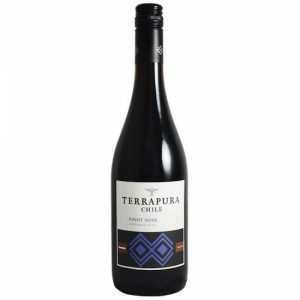 Terrapura’s Pinot Noir is hand-picked at the end of March, gently crushed, then cold-macerated in cool temperature controlled stainless steel tanks. On the nose, this Pinot is intense: aromas of cherries and blueberries dominate, accompanied by a note of black pepper. The palate is soft and silky with good structure and a long, pleasant finish. 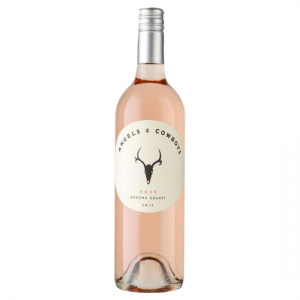 Perfect lightly chilled as an aperitif or poured with salmon, beef tenderloin, or earthy mushroom risotto.